Shops and Showrooms facing North or East are good compared to South or West. This does not mean that shops facing South or West will not do well. 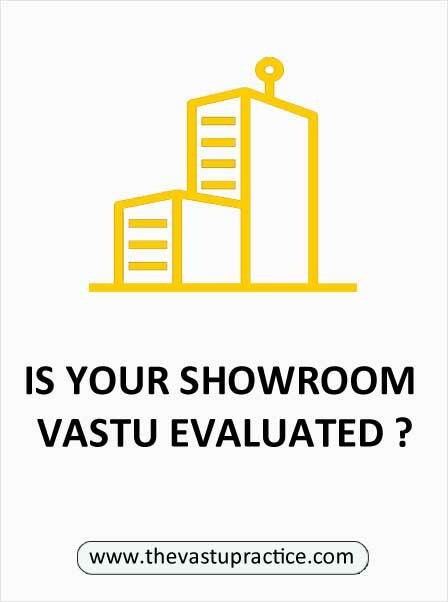 It is important to follow Vastu guidelines. Displays should be done here. Sales should be announced here. New arrivals should be placed here. Use the colour blue in this zone. South, West and South West directions are best suited for storage. Showcases and other heavy items of furniture should be placed in the South West zone. Placing them in the North East leads to losses. The owner of the shop should sit in the South West zone facing North. To make the South West heavy, use the colour yellow or an Ashtadhatu Panchamukhi Hanumanji idol. This gives the owner dominance and stability. The North East zone should be kept uncluttered. There can be a small temple in this zone and a copper vessel filled with Gangajal. The Center of the shop should also be kept empty and clear. The South East zone is favorable for sale of female related items. Stationary and study books will sell easily in the East zone. The plot of the shop should be square or rectangular. There should be no slope towards the entrance of the shop. The cash counter should open towards the North. All electronic equipment should be in the South East zone. The main door should open inwards and not have noisy hinges. Try to use marble or wooden flooring.